A Girl and Her eBooks: The Happiness Memo by Shrewdhippo - $0.99! 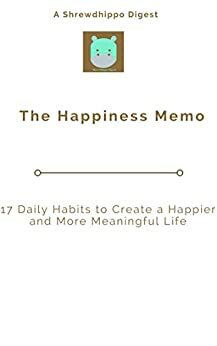 The Happiness Memo by Shrewdhippo - $0.99! Happiness is a state of mind, a way of life and an art that must be practiced daily. In this digest, you will learn the secrets to successful and happy living. The Happiness Memo brings 17 ways in which your heart, mind and soul come together to create a happier and more meaningful life. Reading it will recharge your mind, boost your self-motivation and give you courage to live life more fully and on your own terms. A Love to Last Forever by Linda Wisdom - $0.99!